William Vincent Allen was born in Midway, Ohio. He moved with his parents to Iowa in 1857, where he attended the common schools and Upper Iowa University at Fayette, Iowa. 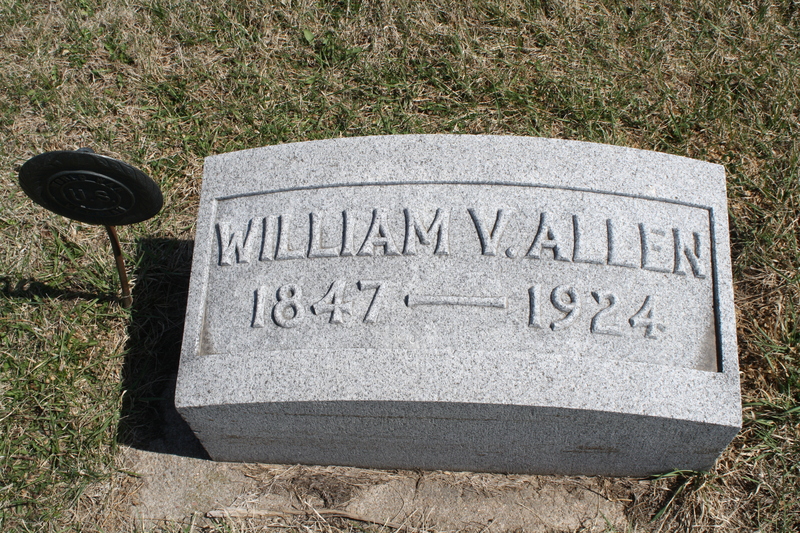 He served as a private with the 32nd Iowa Volunteer Infantry Regiment during the Civil War. He then studied law at West Union, Iowa and was admitted to the bar in 1869. Allen practiced in Iowa until 1884, when he moved to Madison, Nebraska. He served as judge of the district court of the ninth judicial district of Nebraska from 1891 to 1893. William Vincent Allen was the permanent chairman of the Populist State conventions in 1892, 1894 and 1896. Allen was elected as a Populist to the United States Senate by the Nebraska State Legislature and served from March 4, 1893, to March 4, 1899. During his term, he served as the chairman of the Committee on Forest Reservations and Game Protection (Fifty-fourth and Fifty-fifth Congresses). Allen championed various bills for public buildings and drought relief along the Missouri River Valley and authored the bill that would establish the 1898 Trans-Mississippi Exposition in Omaha, Nebraska. William Vincent Allen was an unsuccessful candidate for reelection in 1899. 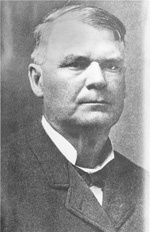 After that, he was appointed and subsequently elected judge of the district court of the ninth judicial district of Nebraska and served from March 9, 1899 to December 1899, when he resigned to return to the Senate, because he was appointed to fill the vacancy caused by the death of his successor, Monroe L. Hayward. He served from December 13, 1899, to March 28, 1901, when a successor was elected; he was not a candidate for election to the vacancy. 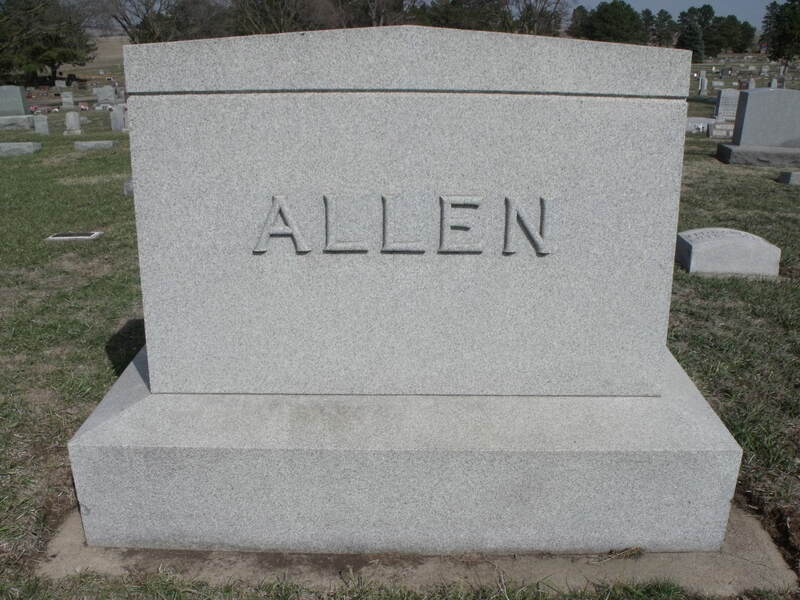 Allen then resumed the practice of law in Madison, where was again elected judge of the district court of the ninth judicial district of Nebraska in 1917 and served until his death. He died in Los Angeles, California on January 12, 1924. He was interred in Crown Hill Cemetery at Madison, Nebraska.